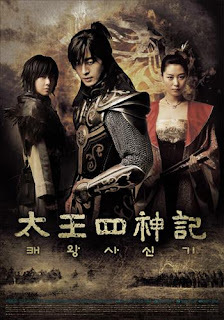 Korean boy band TVXQ will sing the theme song for Bae Yong Joon’s new drama ‘The Story of the First King's Four Gods’. The song is composed by famous Japanese composer and director Joe Hisaishi. The drama will be aired in several Asian countries. It has already received considerable attention because of the cast members Bae Yong Joon and Moon So Ri even before it starts shooting. 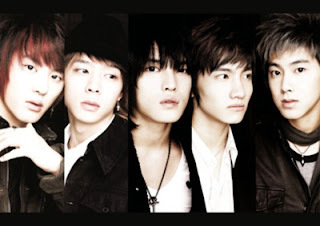 TVXQ will release their 13th single ‘SHINE/Ride on’ in Japan on September 19. 'My Girl' will be aired starting on the 6th through TV Tokyo. Lee Jun Ki will attend an event commemorating the broadcast of 'My Girl' at the Tokyo International Forum on September 13th and also an event for the opening of his official Japanese website and fan club the following day. The event on the 14th will be held with 150 invited fan members preceded by a press conference. He will also conduct personal interviews with various media personnel on the 15th. The event on the 13th has been gathering attention for the planned 30 minute talk with Iwai Shimako, a writer and fan of Lee Jun Ki. 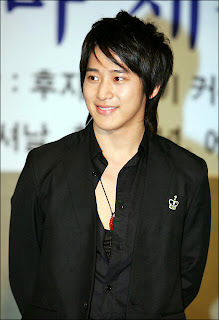 Lee Wan will play the role of Geun Soo in the series that is set to air on October 31st. Geun Soo is the younger brother, though not blood related, who lived with In Soon Yi (Kim Hyun Joo), and protects her after she is released from prison for murder. Since his last drama appearance in 'Tree of Heaven' last March, Lee Wan starred in movies and a Japanese drama series costarring Japanese actress Suzuki Ami amongst others. 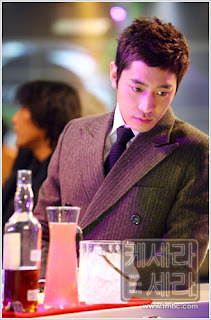 Lee wan says, "Geun Soo is a character that protects and loves In Soon Yi, not as a woman, but as a person. 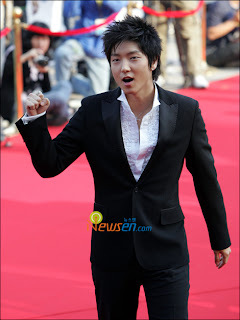 Regardless of whether it is the main or supporting character, I would like to take on good roles in good pieces." 'In Soon Yi is Pretty' will be produced and written by director Pyo Min Soo and writer Jung Yoo Gyung who also worked together in 'What planet are you from?' The series follows the story of In Soon Yi who was sent to prison in high school for an accidental murder but doesn't lose hope and finds happiness in life. The poster for the fantasy historical drama series 'The Legend' which is scheduled to air on October 10th was revealed. The two posters revealed on the 10th feature the three main characters as well as a charismatic Bae Yong Joon as Dam Deok. The symbol in the background is the official 'The Legend' logo, designed based on a Goguryeo mural combining the four gods. They each represent north, south, east, west, and altogether the world and the image of the sun surrounding it signifies the king that does not die. The style of the Chinese characters in the logo was taken from the actual inscription on King Kwanggaeto's monument as well. Season 2 of the hit KBS drama series 'Full House' is in the making. Park Chang-sik at Kim Jong-hak Production says "Jo Jeong-hwa has been working on the script for a year and the script is ready for the 3rd episode so far. Overseas shooting is also under review." Casting will begin this year and the drama will be filmed and aired next year. The director has yet to be decided. Park says "The first series in 2004 was beloved at home, in China and Southeast Asia so that many Asian broadcasters offered to produce their own series. A well made season 2 could hit it big at home and abroad. It's unclear whether Rain and Song Hye-kyo will be recast." Full House, which ended airing in September 2004, was based on a popular same-titled Korean comic by Won Soo-yeon about a trendy young couple's love story. 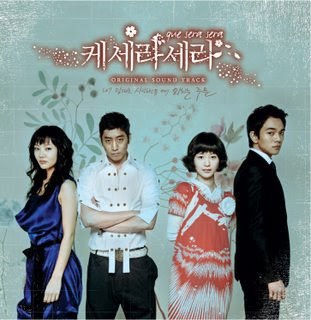 Rain and Song were touted as the most lovely drama couple.